City Bus Take Jinwol #07 at Gwangju Station and get off at Gwangju Songjeong Station. Take Songam #72 at Gwangju Station and get off at Gwangju Songjeong Station. City Bus Take Kumho #36 at Gwangcheon Terminal and get off at Gwangju Songjeong Station. Take Munheung #48 at Gwangcheon Terminal and get off at Gwangju Songjeong Station. City Bus Take Jinwol #75 at Airport Entrance and get off at Gwangju Songjeong Station. Take Sangmu #22 at Airport Entrance and get off at Gwangju Songjeong Station. 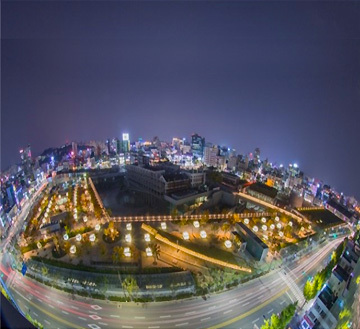 City Bus Take Geumnam #55 at Gwangju Station and get off at Culture &Art Center. 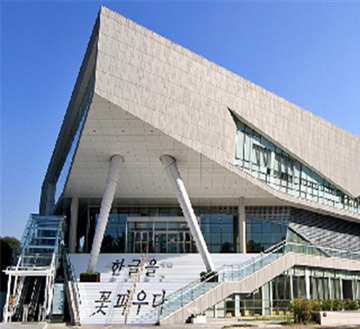 City Bus Take #1187 at Gwangcheon Terminal and get off at Culture &Art Center. City Bus Take Songam #73 and get off at Yeomju Sageori. Transfer to Songam #74 and get off at Culture &Art Center. Take Ilgok #38 at Airport Entrance and get off at Gwangcheon Terminal. 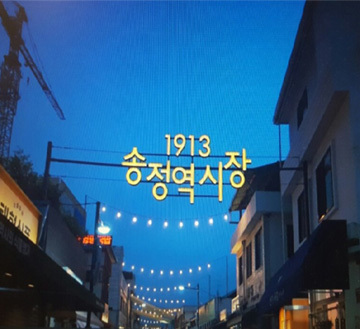 Transfer to #1187 and get off at Culture &Art Center. The spirit of the southern region shines through Mt. 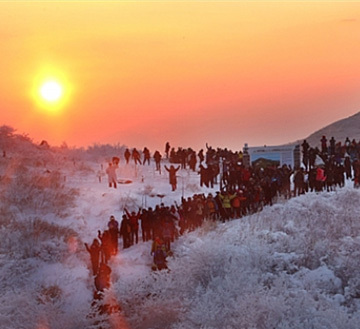 Mudeung, a mountain 1,187m above sea level, displaying various faces as the seasons change. 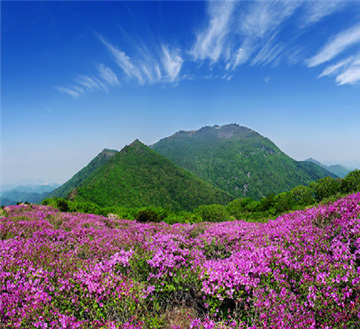 Royal azaleas and azalea blossoms of light pink in spring and the fresh flowing water of the valley streams in summer attract people who are weary of city life. Beautiful plants in great abundance in the fall and snowflakes in winter create a scene from an enchanting oriental painting. City Bus Take #02 at Airport Entrance and get off at Mudeung mountain national park. 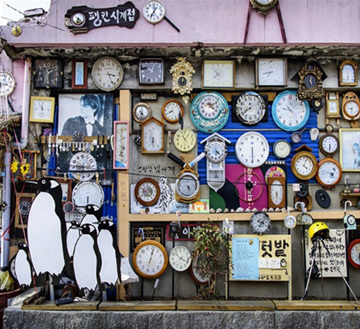 These days Yangnim-dong penguin village is hot place in Gwang-ju. 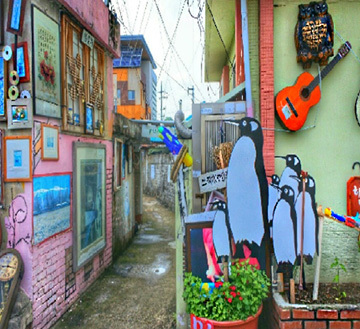 The origins of a penguin village starts from the village headman's idea that he wants to decorate the empty space where are stacked up trash. also he is made the name of penguin village the reason for he is inspired from his friends who were inconvenient to walk. City Bus Take Sunhwan #01 at Gwangju Station and get off at Namgwangju Station. City Bus Take Geumnam #55 at Airport Entrance and get off at Namgwangju market. 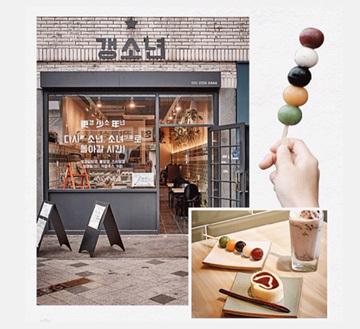 Take Cheomdan #09 at Airport Entrance and get off at Namgwangju market.